The Razor Blade Company is pleased to offer excellent discount prices on razor blades and utility knives for our customers. 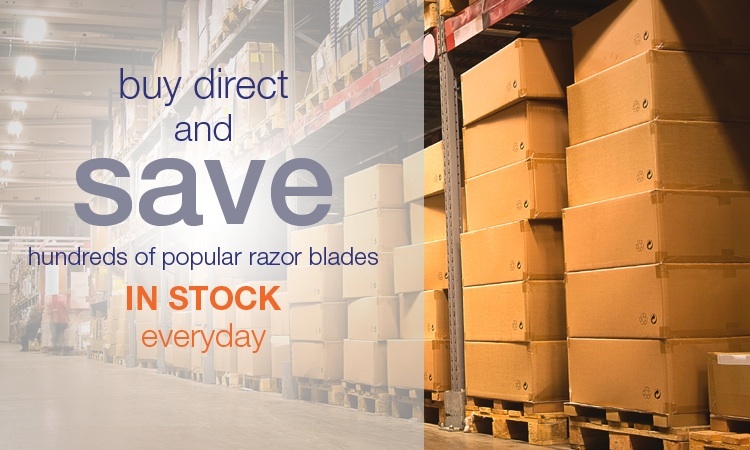 We sell razor blades in large quantities to ensure that we can offer low everyday prices. Our razor blades are sourced from handpicked manufacturers to ensure consistent high quality and satisfaction with every order. When looking for cheap razor blades, it is important to consider that razor blade quality is measured on a microscopic level, but these variations can make a substantial difference in job performance and replacement time. While a razor blade may seem affordable, if it is poor quality and dulls quickly, the replacement blades will end up costing you more in time and money. The Razor Blade Company has been in business for almost 100 years. Our customers rely on the integrity of our products, which keep them coming back year after year. We are able to keep our low wholesale prices for our razor blades by maintaining a $50 minimum order and by establishing price breaks for larger quantity purchases.